After spending the last couple of years exploring Cape York, an island-like hill on the edge of the enormous 22 kilometre (14 mile) wide Endeavour crater, it has now finally started moving south again, continuing along the edge of Endeavour towards another smaller outcrop called Sutherland Point. Connected to this is another larger outcrop called Nobbys Head. As of this writing, Opportunity is now on the outer edge of Nobbys Head; after this, the next major destination is Solander Point, a hill at the northern end of the much larger Cape Tribulation range of hills. 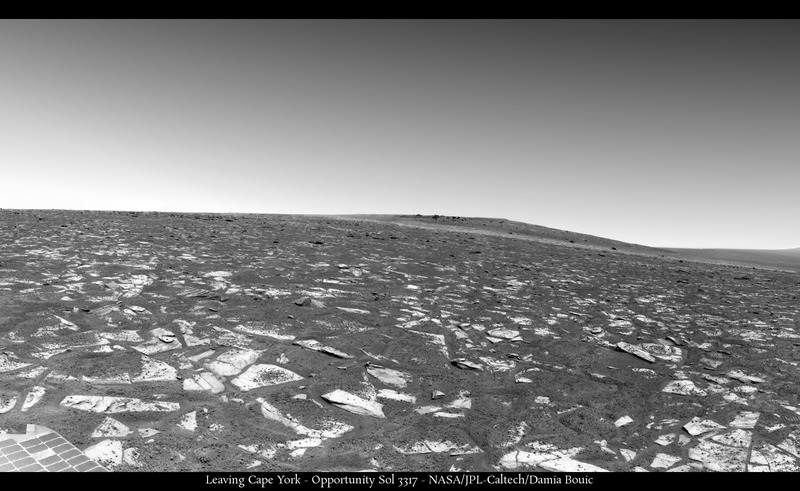 Opportunity looks back at Cape York in this panoramic image. Click for larger version. These layered hills are a lot taller than Cape York, Sutherland Point or Nobbys Head, and it is here where rich deposits of clay minerals have been seen by orbiting spacecraft. They are the anticipated “holy grail” – the primary goal of Opportunity’s trek at Endeavour. Other clays, but in smaller deposits, have already been examined on Cape York, as well. They indicate this area was once much wetter than it is now, with neutral pH water, making it possibly quite habitable. Similar clays have also already been found by the Curiosity rover in Gale crater. 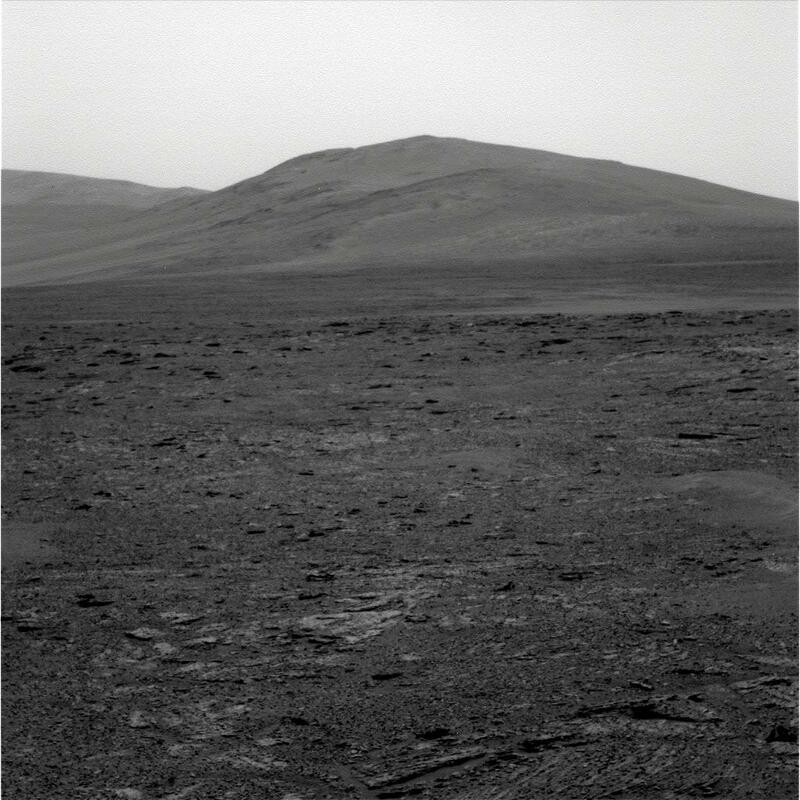 During this trip southward, Opportunity also previously broke one of the oldest driving distance records for a rover on either Mars or the Moon. It passed the 35.74 kilometre (19.3 mile) mark previously set by the Apollo 17 Lunar Rover in 1972. It is now very close to breaking the oldest rover distance driving record of all, 37 kilometres (23 miles) set by the Soviet Union’s Lunokhod 2 rover on the Moon in 1973. Not bad! 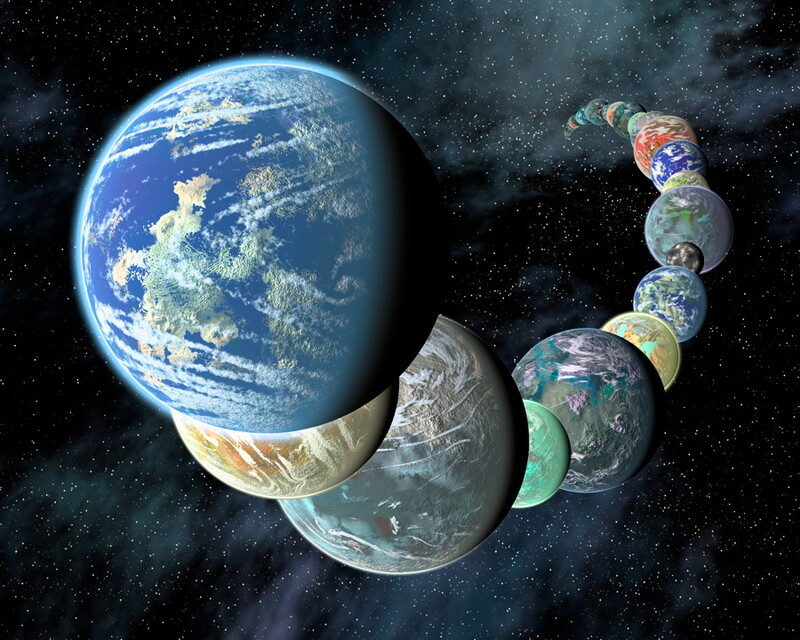 If all goes well, Opportunity should reach Solander Point within the next few months.